Did Negligent Security Contribute to the Tragic Loss of This Houston Father? A shooting outside the Rainy Meadows apartment complex reportedly claimed the life of 43-year-old father of four, Floyd Oscar, Jr., July 11, 2017. 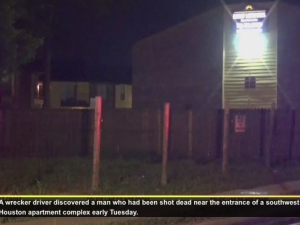 According to KPRC 2 News, the shooting occurred “near the front gate” of the “Rainy Meadows apartments.” Surveillance footage allegedly reveals three suspects “grabbed [Mr.] Oscar by the neck” and searched his “back pockets” before opening fire. KHOU reports, a “wrecker driver discovered” Mr. Oscar and called for help. Tragically, he succumbed to fatal injuries. Where was apartment management or security at the time of the shooting? How long was Mr. Oscar in distress before police were called to the scene by a passerby? Have there been prior incidents of violence on property? What security measures, such as bright lighting, surveillance cameras and security patrols, were in place and working at the time of the shooting? Generally, property owners are required to protect all patrons legally on the premises from any foreseeable harm. Should the facts of this matter reveal that the apartment complex owner or management company failed to provide adequate security to protect those on its premises, the family of Floyd Oscar, Jr. may seek justice and elect to pursue legal claims for his wrongful death.